Lou Engle and key charismatic leaders believe that in 2019, God will ignite a movement in the next generation as never before. Specifically, these leaders believe Billy Graham's mantle of evangelism will be poured out on the next generation—and they have called for a gathering to usher it in. This event, called The Send, will take place Feb. 23 at Camping World Stadium in Orlando, Florida. Everyone involved says this isn't just a stadium event; it's a movement. In fact, Engle is so confident about this that he has ended his longtime ministry, TheCall, to pursue The Send. "We believe that [Graham's] mantle is hovering, waiting for thousands to lay hold of it," Engle says. "It is a mantle that is a burden for evangelism—for a new era of Jesus the Evangelist—to manifest a new Jesus People movement harvest to take place. I believe The Send will be a flashpoint for the fulfillment of that word. I so believe in this shift that I have ended TheCall." Through TheCall, Engle has hosted stadium gatherings for nearly two decades. Those events have called the youth of America to fasting and prayer for revival to break out. 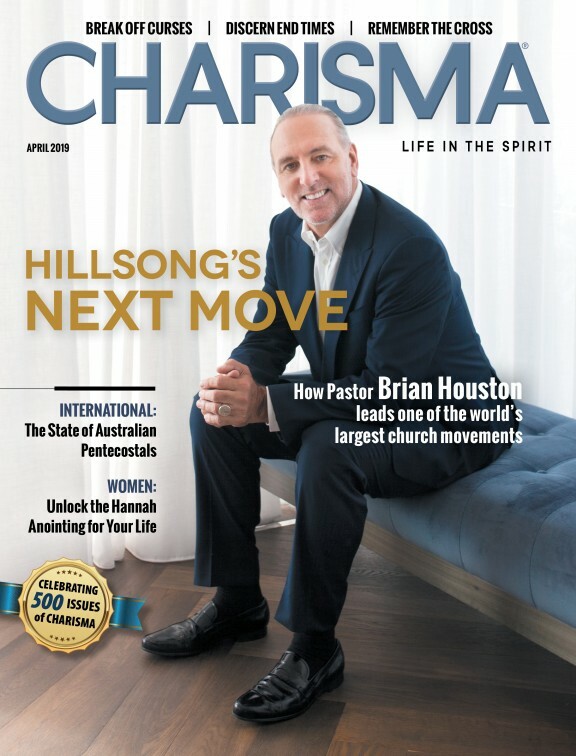 Now he believes all that prayer has led to this—a great release of evangelism—and he's working with most of the major missions and evangelism ministries in the charismatic world to achieve it. Engle is believing for this generation of Christians to go after evangelism as no other generation has, and he is standing on prophetic words to back up his claim. The Send's organizers are busy mobilizing missions ministries, evangelism groups and churches across North America and even other continents, asking them to throw their weight behind one central theme: It's time to carry out the Great Commission and show the world Jesus the Evangelist. Engle has known this day was coming for a long time. Seven years ago, Engle says, YWAM leaders, led by Andy Byrd and Brian Brennt, came into his living room and prophesied a shift to TheCall. They shared prophetically how TheCall was going to become a new movement: The Send. Why The Send? 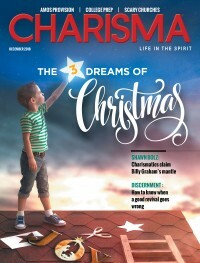 Byrd and Brennt prophesied that Billy Graham's mantle or ability to reach people would be released on many individuals and ministries, and that people would begin to adopt their neighborhoods, schools and cities with the same faith Graham had for winning souls. They also prophesied that stadiums would be filled by these believers with signs and wonders. These conversations took place well before Graham's death in February 2018. These leaders had simply received revelation that just as Elisha received Elijah's mantle, so there was a generation that would receive Graham's mantle of evangelism. Then six years ago, Engle and a team went to Orlando. He began to prophesy that at the Citrus Bowl (now known as Camping World Stadium), a massive sending movement was coming, and a new breed of evangelism would break out. Engle and his team began to pray for 80 million souls in America to be saved and for 200,000 missionaries to be sent. On Feb. 12, 2018, Engle was on a trip, seeking God, when he read 2 Kings 2, in which Elisha actually receives the mantle of Elijah. Elisha basically says, "I will not leave you, Elijah, until I get your spirit upon me." As Engle read those words, the Holy Spirit gripped him, and he wrote in big letters in his Bible, "BILLY GRAHAM I WILL NOT LEAVE YOU UNTIL I GET A DOUBLE PORTION OF YOUR SPIRIT ON THE NEXT GENERATION!" On Feb. 16, Engle was flying from Hawaii while reading 2 Kings 2:20, where Elisha says, "Bring me a new bowl." "It was like a command shot right into my spirit, with the Lord saying, 'Bring me a new bowl!'" Engle says. "God went on to say: 'Whereas before you have seen stadiums filled with fasting and prayer, you are going to see bowls filled with the manifestation of the scroll of Jesus: "The Spirit of the Lord is upon me because the Lord has anointed me to bring good news to the afflicted.'" Just a few days later, on Feb. 21, Billy Graham went home to glory—and I knew it was 'Game on!'" With all of this burning in his heart, Engle went to meet with a handful of great young, evangelistic leaders: Andy Byrd of YWAM, Daniel Kolenda of Christ for All Nations, Teofilo Hayashi of Dunamis Brazil, Michael Koulianos of Jesus Image, Todd White of Lifestyle Christianity and Brian Brennt of Circuit Riders. Personally, I remember being with a well-known prophet, Bob Jones, several years before he passed. We were talking about evangelism, and he told me, "When Billy Graham dies, the mantle that was on his life will cover a generation of evangelists and will bring forth a worldwide revival." Jones talked about the impact Billy Graham was able to have because of his gift and calling being imparted over whole movements. Lou Engle and I talked earlier this year about Jones' word. Engle had never heard this from him before, but this is exactly what they were believing when the YWAM leaders first prophesied this back in his living room: "This is what we are believing for, and this is one of the reasons we are gathering." Since then, many more partners have joined, including TBN, Bethel Church in Redding, One Voice, Every Home for Christ and Burn 24-7. Engle says he has never been more sure that he is making a step in the right direction. Engle has completely transitioned his life away from gathering people to intercede through his TheCall events. Now he has a single focus: to release people to go outside the church into all the world to evangelize for a new worldwide harvest. "I believe that TheCall was a John-the-Baptist-type Luke 1:17 movement, but I am now giving myself to Luke 4:18 to unfold that the Spirit of God is upon us to preach the good news to the poor," Engle says. "A great awakening is at hand, and this is the hour of the double portion, sons and daughters. On Feb. 23, I believe fathers of my generation will pass the anointing to the next. My statement is, 'Billy Graham, I will not let you go until I see a double portion of your anointing on the next generation!'" YWAM's Andy Byrd has been a key player in this whole process. He calls The Send a movement to activate the body of Christ into the most evangelistic engaged adoptive expression it has ever had. Leaders want to see a movement where everyone is focused on bringing Jesus into their everyday lives and helping people live a missional lifestyle. Byrd believes we are on the verge of the largest missional expression of Christianity—and that this event will help to thrust the church into a clear understanding that will create a national missions movement. "Our goal isn't just for an event or gathering but for an activation to occur," Byrd says. "The gathering itself is going to be a place where we commit together practically to reach our region, city and schools; and we commit to God together to target people groups in a really practical way to take responsibility for evangelism as we adopt them in our hearts and prayers. The goal is that those commitments will be walked out in the days that follow, and we are creating a strategic plan and online platform for this to happen. We are creating on-ramps of online training and support so that people won't just come to an event but create a movement." The leaders of The Send are creating practical outreach opportunities and a discipleship track anyone can go through to be "sent." They also have tools for local churches to adopt their region and support each other as well as ways for people to get involved in ongoing ministry through The Send events themselves. Byrd emphasizes that they aren't just taking a practical approach to this spiritually initiated event. He and Engle believe this is a moment in time when God will use this event to encounter a generation. "I believe there will be a move of the Spirit of God for a true impartation of courage from one generation to the next as healing and supernatural signs break out," Byrd says. "We are going to see an impartation of supernatural ministry as well as a strong practical thrust." In short, they are seeking a move of God. The Send's leaders believe this is the result of 18 years of prayer through TheCall—mobilizing Christians together for this moment. Those who have followed TheCall for nearly two decades are now being invited into an adoptive posture in their Christianity toward America seeking a true move of evangelism. For this event, Engle and Byrd have gathered evangelism and missions organizations that have the largest reach and impact. They'll need all the help they can get. If over 60,000 people attend The Send at Camping Stadium, it will be one of the largest events in history to focus on commissioning and releasing evangelists. Many of the ministries co-sponsoring The Send have ministry training schools, universities or missions programs people can join after the event. Todd White, whose ministry, Lifestyle Christianity, just bought a campus in Dallas, Texas, says The Send is about empowering everyday people to live out and share the gospel. "What we're going after is to produce people who stand in their identity, fully realizing who they are in Christ and who Christ is in them," White says. "We are going to make sure that we are making an impact individually for the kingdom of heaven. We want to see heaven full and hell empty, and the only way for that to happen is for the body of Christ to step into its calling." While evangelism seems to have taken a backseat among Millennial priorities, the leadership of The Send believes God will make it front and center through this powerful gathering. They hope this one day will instill this value as a primary goal for the church in America. Koulianos believes a new Jesus movement has already begun. "The Send is much more than a gathering," Koulianos says. "It is the anointing of Jesus the Evangelist coming upon His people. Generations, streams and denominations are uniting under the banner of this. The 'common' Christian will take up the Great Commission to share the gospel to their world." Like many of his collaborators, Koulianos radiates excitement rooted in humble authenticity. After all, he's getting to serve alongside the spiritual fathers and mothers of this generation's missions and evangelism movements. The list of other leaders for The Send event reads like a who's who of prominent Spirit-filled voices. Teofilo Hayashi leads Dunamis, which is based in Brazil and has a similar presence to Bethel Church in Redding, California. Christ for the Nations' Daniel Kolenda has taken on the legacy of Reinhard Bonnke and already seen 21 million people make a decision for Christ. He recently got back from a Congo crusade, where over 200,000 people in one event made decisions for Christ after witnessing supernatural signs and hearing the gospel. It's not just individuals, either. TV ministries like TBN are contributing to the cause. Increasingly, all of the evangelistic heavy hitters are believing the same thing: A new breed of evangelism is not only possible—it is happening. Through these deliberate relationships and events, I expect it to become front-and-center on the agenda of Christianity in 2019. Though The Send hasn't yet taken place, the event's leadership already has plans beyond the February event. They have their eyes on the future, and they are dreaming about what a year from the event will look like. These leaders are going after three categories of fruit. First, they are believing for 5,000 people at the event to sign up for missions training through The Send's new online platform, which will connect them to opportunities across the America as well as other nations. Hence, they will be "sent." Second, they are believing that churches across the nation will go through their Send series called "The Activated Church," which teaches believers how to fruitfully engage and adopt their neighborhoods and actively impact them with the gospel. Lastly, they are partnering with campus ministries like One Voice to reach university campuses and high schools. They hope to see dozens of high schools adopt Bible clubs and hundreds of universities host gatherings. Their goal is for 1,000 campuses to be engaged in reaching their students for Jesus. This is a movement where everyday believers engage in bringing the kingdom in natural ways. By having so many of America's largest evangelism and missions originations in one place at one time, The Send's leaders hope to spark a flame that will bring a passion for salvation never before seen on a global level. They are believing for a before-and-after moment in time. They also pray that the bowl this is being held in will be a container for something new to happen: a heart to see Jesus receive His inheritance in our generation through an evangelistic release such as our generation hasn't seen. And they believe this is only the beginning—the first of many. If anyone can accomplish this, I believe it's Lou Engle. I am blessing and partnering with The Send in the Spirit, and I invite you to attend and join the movement. If you can't be there, pray like you are.